The big news today is that Microsoft will be introducing a real-time speech-to-speech translation feature on Skype by the end of this year. 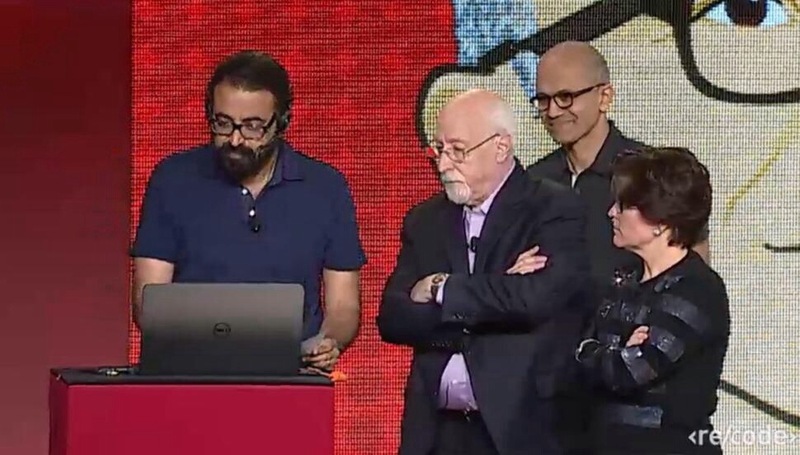 The announcement was made by Microsoft CEO Satya Nadella during an onstage interview at the Recode Code Conference in Palos Verdes, Calif.
Just so everyone who reads DigiDame understands, Microsoft owns Skype. Microsoft has been desperately looking for ways to bring back some of the glory it lost over the years to Google, Apple, and Yahoo. Adding a translation feature to Skype is a major milestone in the tech world. To have the ability to talk to someone who doesn’t speak your same language is mind-boggling. Skype was always a tremendous asset because it allowed you to speak and see someone on the other side of the world. You also had the ability to text chat. The real-time language translation just makes Skype an invaluable personal and business tool. Microsoft didn’t really explain how the language translator works. I think they want to perfect it first. I’m all for that. The minute this feature becomes available, I’m going to be first to use it. 1-Call Nadia in Bologna, Italy. She is the wife of my friend Mel. She doesn’t speak a word of English. Every time we get together, Mel has to translate. I am sure he is filtering. We will finally be able to chat one-on-one. 2-I’m going to call foreign companies I always wanted to do business with. I want to talk to the highest officials. I want to talk to the leaders and give them my thoughts. 3-I want to so speak to authors, newspaper reporters, bloggers, and broadcasters in other countries. I always had to access these people through other PR people . I want to hear their opinions about politics, health, music, tech, and lifestyle first hand. I am sure my language wish list is longer than that. This is just a starting point. I would love to hear your ideas as well. This entry was posted in digital, senior lifestyle, tech and tagged language translator, Microsoft, recode code conference by loiswhitman. Bookmark the permalink.